110cc, Electric Start, 4 Stroke with Fully Automatic Transmission, Wheels Measure 10" Front, 10" Rear, Front/Rear Hydraulic Disc Brakes, Quite Exhaust, Conventional Front Fork. Steel Skid Plate, Chain Guard, High Strength Perimeter Style Steel Frame, Steel (Straight Type) Swing Arm. 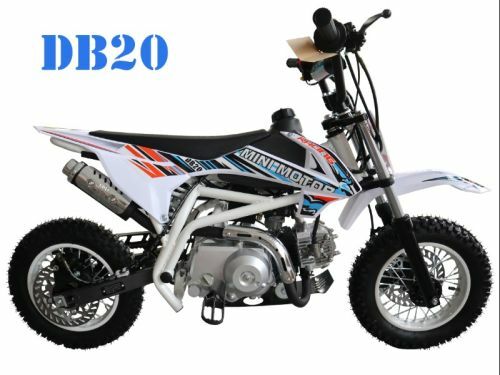 This is a great beginer bike for the future motocross racer. Start Type Electric Start Seat Height 24"